The early history of Asia Minor is mostly unknown due to lack of historical sources. It is known that the region was ruled by several city-states before the arrival of Hittites, Indo-European peoples from southern Russian steppes in the 19th century BC. History of Asia Minor becomes more clear in the early 2nd millennium BC when city of Assur established its first trade colonies in Anatolia. With decline of the city of Assur and collapse of trade colonies in the early 18th century BC perhaps also because of the turmoils following the arrival of Indo-Europeans the history of the region becomes unknown for about a century when the city of Hattusa is referred as the capital of Hittite Kingdom. History of Hittites is commonly divided into the periods of the Old Hittite Kingdom and the Hittite Empire, while some historians are also adding the period of the Middle Hittite Kingdom. The foundation of the Old Hittite Kingdom is traditionally attributed to Hattusili I or Labarna I (according to some authors they are the same person) who extended his authority over large part of Anatolia and northern Syria about 1600 BC. His successor Mursili I (c. 1620-1590 BC) continued the expansionist policy, invaded Babylon and sacked the city of Babylon in 1532 BC and enabled the Kassites to establish their rule in Babylonia. 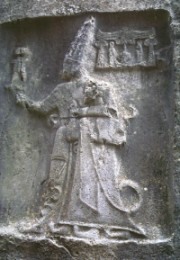 After death of Musili’s successor Telepinu about 1500 BC the history of Hittites becomes mostly unknown until the establishment of Hittite Empire about 1430 BC, while the period from death of Telepinu until the establishment of Hittite Empire is sometimes referred as the period of the Middle Kingdom. The beginning of the Hittite Empire (sometimes referred as the New Kingdom) is traditionally dated in 1430 BC. The Hittites recovered their former strength and power under Suppiluliuma I (c. 1370 BC) who conquered norther Syria, destroyed the Mitanni Kingdom and started to struggle with Egypt for the overrule in Syria. Hittite-Egyptian struggles reached their height under Muwatalli II who led his forces against the Egyptians under leadership of Rameses II in the Battle of Kadesh which took place about 2185 BC. Egyptian records claim winning the Battle of Kadesh although it actually ended indecisively. Hittites retained northern Syria as well as status of one of the leading powers of ancient Middle East. About 1200 BC the records of Hittite Empire suddenly disappear, while the fall of the Hittite Empire is traditionally attributed to the invasion of the Sea People.